Zebra print upholstery is interesting, neutral and versatile, and it will blend well with your existing furniture. 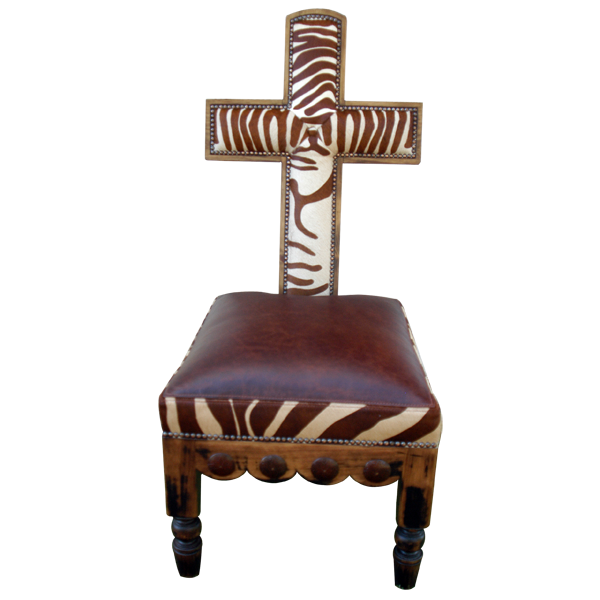 The solid wood, cross shaped seat back is comfortably padded and is upholstered with zebra patterned, real cowhide, with a center button tuft. 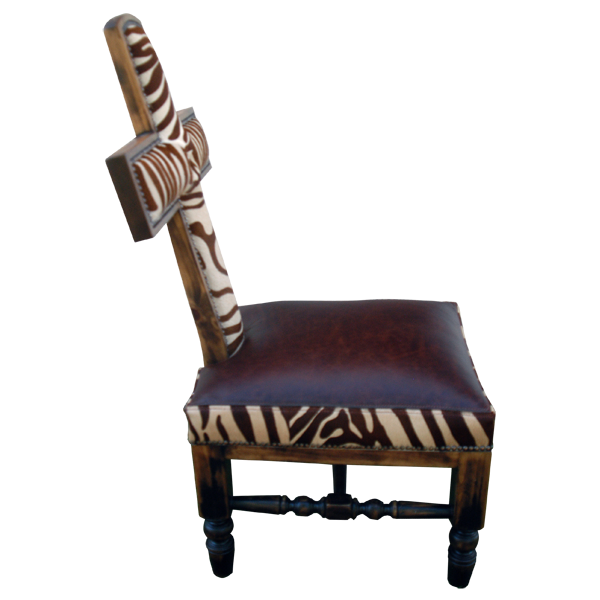 The sides of the seat are upholstered in zebra patterned, real cowhide and the top of the padded seat is upholstered in earth tone full grain leather. The upholstery on the seat and seat back is hand tacked to the solid wood frame with decorative nails. 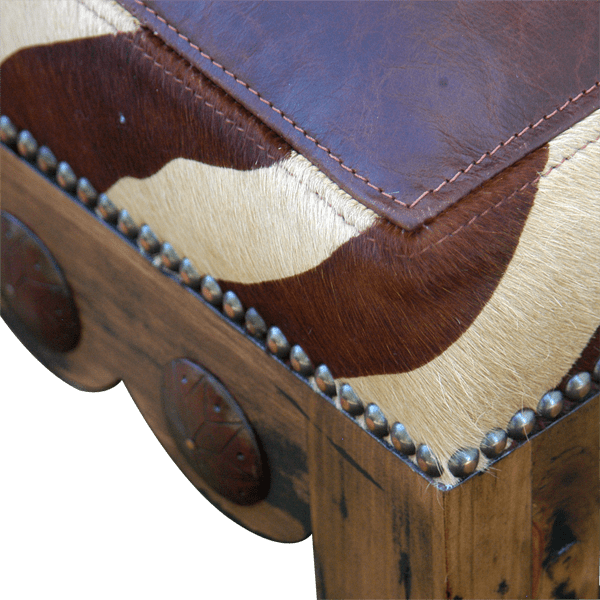 The front of the chair features a demi-lune front frieze decorated with hand forged iron conchos. The chair is supported by block legs that transition to finely, hand turned, tapered legs. The legs are joined by an “H” shaped, wood turned stretcher. The chair is both beautiful and durable, and is made with the best, sustainable wood available. It is 100% customizable.